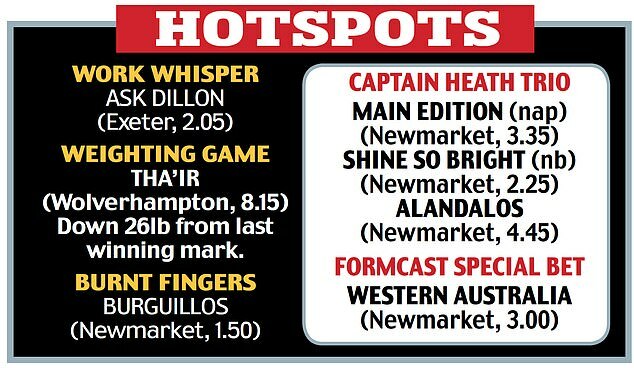 Sportsmail’s racing expert Robin Goodfellow dishes out his tips ahead of Tuesday’s meetings at Pontefract, Hexham and Windsor. Flat racing has started to get more serious, the Classic trials are in full flow and it’s time to tuck into the main course in the Nell Gwyn Stakes at Newmarket. Mark Johnston-trained MAIN EDITION (Newmarket, 3.35) is one of the seven in the 11-strong line-up which hold an entry for the 1,000 Guineas back at the track on May 5. Her two-year-old form was the best, including wins in the Albany and Sweet Solera Stakes, and she has the physical stature to keep on improving. Biggest dangers on paper are Mot Juste and Angel’s Hideaway, the first and third in last season’s Oh So Sharp Stakes. Saeed Bin Suroor’s group-one winning juvenile Royal Marine heads the entries for tomorrow’s 2,000 Guineas trial, the Craven Stakes, while leading 2,000 Guineas hopes Advertise and Phoenix Of Spain will gallop at Newmarket around noon today. Newmarket – 2.25 Azano (nap); 3.35 Mot Juste (nb). 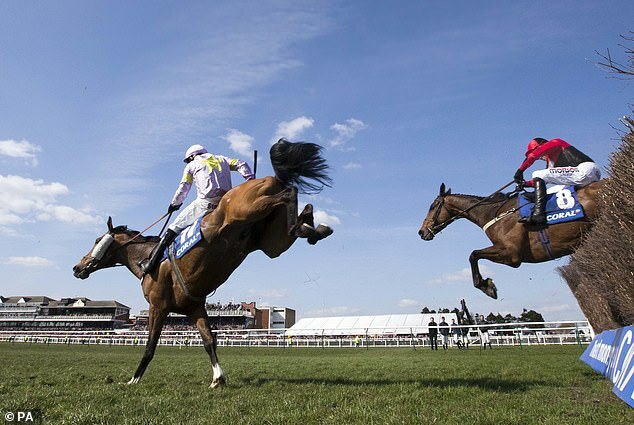 Northerner – 3.00 Kadar (nap); 5.20 War Tiger (nb).